Our museum sports over 200 pristine cars–a fact we’re very proud of–but we offer much more than one of the best and most varied automotive displays in America. 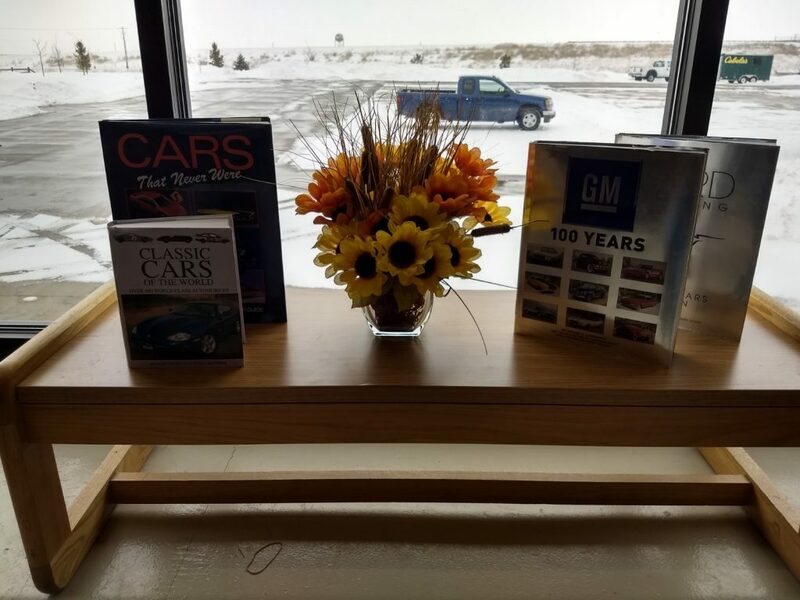 Classic Car Collection also houses a small resource center, lit naturally by our enormous exterior windows, with shelves filled with books on all things automotive: biographies, company histories, major makes and models, and even a children’s section! 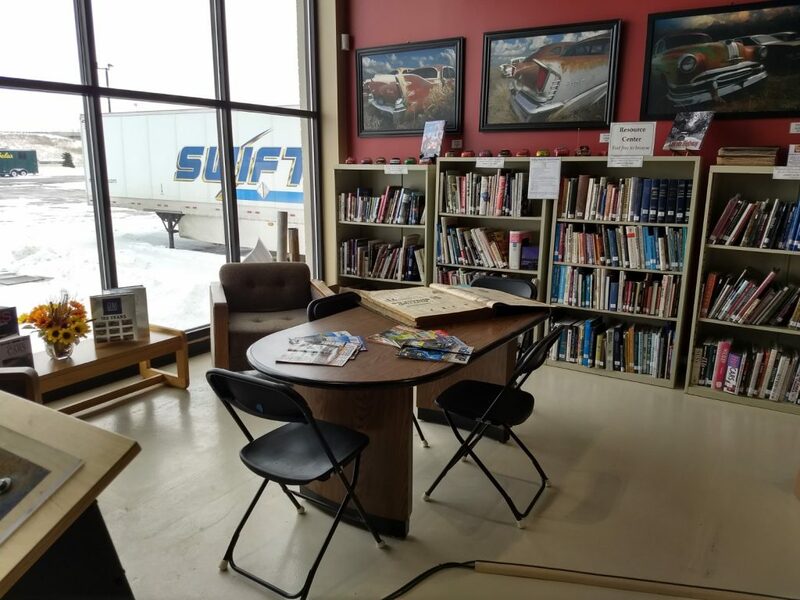 The area is also adorned with car memorabilia, including model cars, artwork, and more. 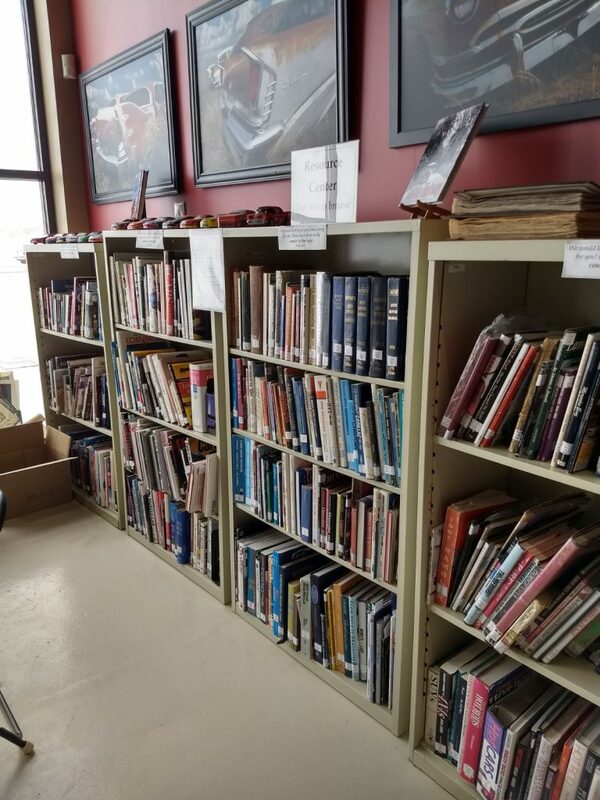 So, if you’d like to extend your stay with more than a tour of the museum, select a book from one of our shelves, have a seat in one of our comfy chairs, and enjoy! 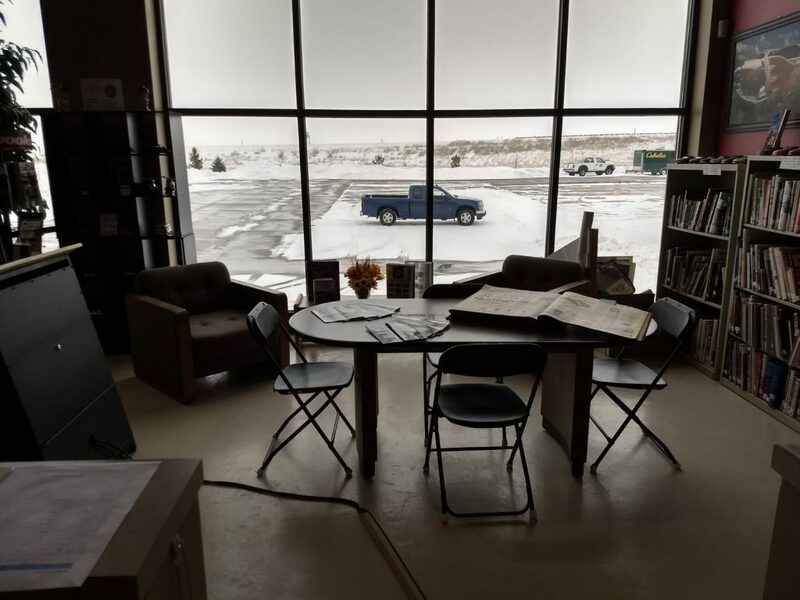 In addition to our small yet impressive library on automobiles, Classic Car Collection proudly displays a small diner area, one modeled after a 1950s locale. And, it is completely embellished with Coca-Cola Bottling merchandise, including old containers, wall art, and seating. Plus, the diner displays a vintage cigarette machine and jukebox, sure to make you feel like you’ve stepped back in time as soon as you step foot on the black-and-white-checkered flooring. Feeling a bit peckish after your cruise through the past? Not to worry. 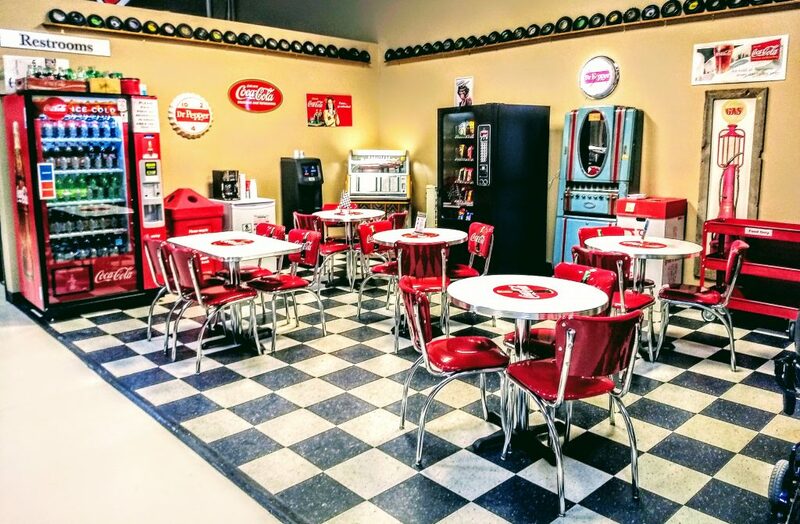 The diner area includes both a Coke machine and a regular vending machine, filled with a variety of snacks that are sure to refresh you after your automotive adventure.